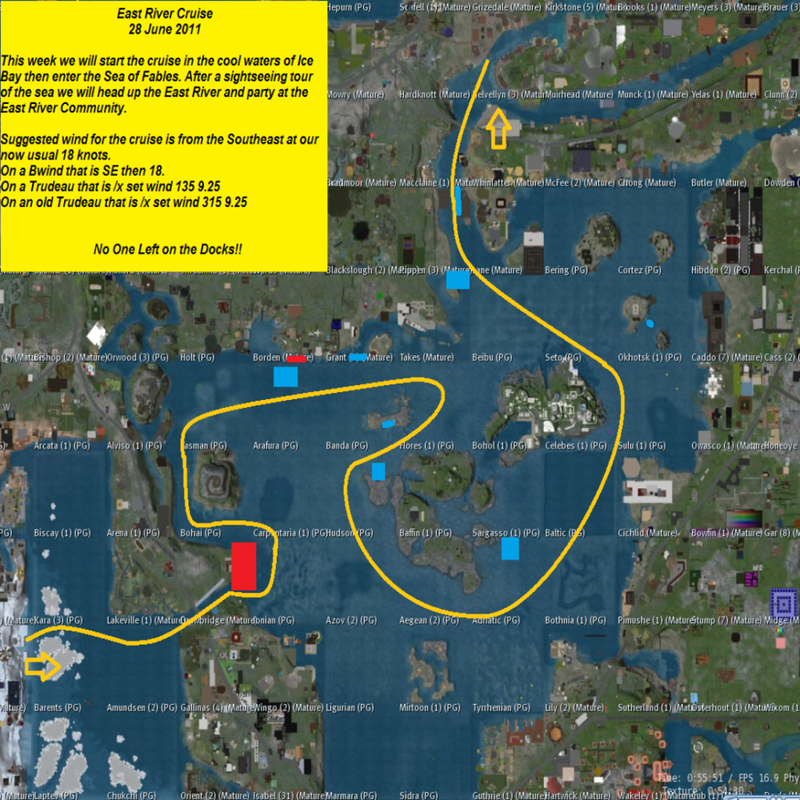 The East River Community is committed to support organizations in Second Life and for this reason we are sponsors of the Leeward Cruising Club and are happy to host one of their outpost at Port Kirkstone. If you are into leisure cruising and would enjoy a nice way to explore Second Life in good company, I highly recommend you join the Leeward Cruising Club. Please search for it inworld to join. For this cruise we pack up the boats and head for Sansara! We will first cool off from the summer heat by rezzin in Svan in the Icy bay. We will then sail to the East River via the Sea of Fables. Rezz Zones: There are a quite a few, one I found in blue on the map. Suggested wind is from the Southeast at 18 knots. No one left on the Dock!!! !